Elevatorgate is a term commonly used to describe a scandal involving New Atheist Richard Dawkins' inappropriate comments made to atheist Rebecca Watson. 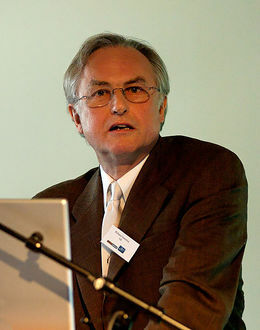 In July 2011, Richard Dawkins was widely criticized within the atheist community and in various press outlets for his insensitive comments made to Rebecca Watson about an incident which occurred in an elevator. Specifically, Watson was propositioned after an atheist conference in an elevator by a man who apparently was a fellow atheist during the early hours of the morning and she was upset about the incident. “ One of many problems here is that Rebecca didn't use her video to downplay the plight of Muslim women from the perspective of an American woman. In fact, she made no connection at all. The connection seems only to have occurred in the mind of Richard Dawkins. “ No I wasn't making that argument. Here's the argument I was making. The man in the elevator didn't physically touch her, didn't attempt to bar her way out of the elevator, didn't even use foul language at her. He spoke some words to her. Just words. She no doubt replied with words. That was that. Words. Only words, and apparently quite polite words at that. “ Explanations often can make things worse, and so it did in this case. As Phil Plait correctly states, there is no natural meaning to this other than the fact that Dawkins is comparing the discomfort of a woman propositioned in a lift with him sharing a lift with a man chewing gum. But it seems part of a possible trend. Those who merely pose as rationalists and promoters of liberal values are being found out. “ Many people seem to think it obvious that my post was wrong and I should apologise. Very few people have bothered to explain exactly why. The nearest approach I have heard goes something like this. No, I obviously don't get it. I will gladly apologise if somebody will calmly and politely, without using the word f*** in every sentence, explain to me what it is that I am not getting. On August 6, 2014, three years after Elevatorgate, without mentioning Rebecca Watson's name, Richard Dawkins issued a one sentence apology for his Elevatorgate comments. He posted the apology near the bottom of one of his blog posts. In response, Rebecca Watson wrote in Twitter post: "Richard Dawkins did the blog-equivalent of coughing into his hand while mumbling "sorry" to me. Eh I'll take it." On November 18, 2014, Richard Dawkins indicated that: he stands by his recent remarks about women/men relations, he feels muzzled by "thought police" and that Rebecca Watson's experience in the elevator was "rather trivial" compared to events some Muslim women experience. This page was last modified on 9 April 2019, at 15:25.